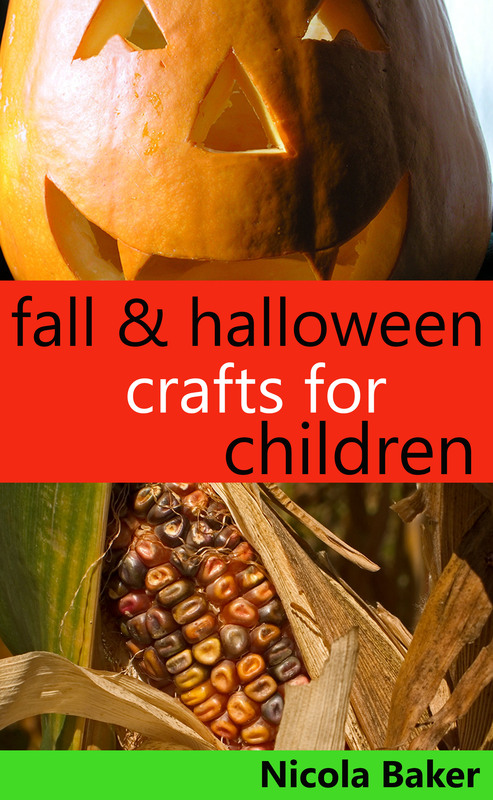 I have just published my new Autumn and Halloween ebook: ‘Fall and Halloween Crafts for Children’. I love the Autumn, the colors are stunning and so vibrant. It’s a remarkable time of year, especially when you are a child, watching as the bright green leaves from the Summer gradually change to red, golden, brown and orange and then gently fall to the ground. There are so many things to look forward to and to learn from in the Autumn, from the changing seasons being so evident, animals going into hibernation, Halloween, Bon Fire Night and Thanksgiving. In this book you will find 16 fun crafts to explore this vibrant season. 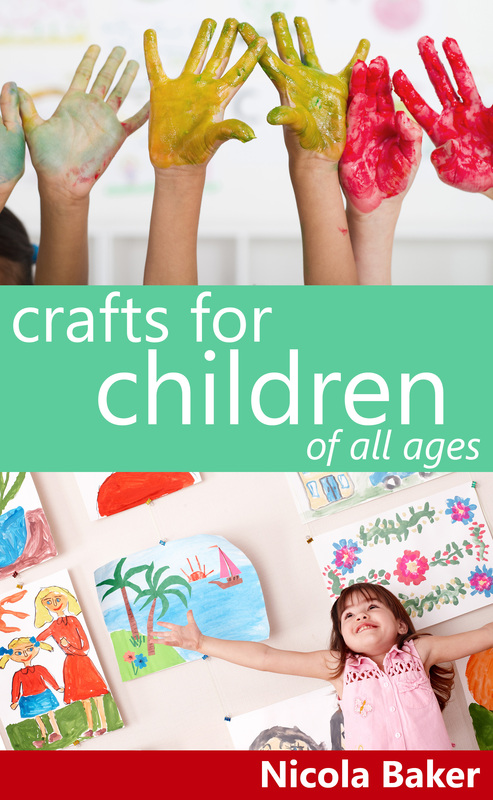 I have written and published my very own ebook – “Crafts For Children of all Ages“. From the start it’s been very exciting, from thinking of the craft activities, writing them, taking the photos, putting it all together to actually publishing it. Alongside my business of making handmade items, for the past 5 years I have also been running Crafty Creatures, facilitating children’s art and craft workshops for Schools, Children’s Centres and the Community. It’s lovely seeing the impact of how being creative can have on a child of any age, how proud they can feel. It’s this feeling I hope children get from making the crafts in the book. 25 fun crafts range from painting, printing and mixed media collage for both preschool and school aged children and come with step by step instructions, colour photos and a set of downloadable templates. Well, lots of things I hear you say, but in terms of our creativity what actually makes us different? Tanner Christensen in his insightful blog Creative Something states that ideas on the whole aren’t rare. That’s true as reading his post on What Ideas are Worth has lead me to writing this blog post. Tanner believes “Ideas aren’t worth anything. It’s what we do when we notice an idea that matters”. On the whole I tend to agree, as in general conversations with friends and family, ideas could be talked about. These don’t need to be anything massive, they could be about getting a great deal on something. In general not everyone involved in that conversation will act on what was discussed. Some may go about their daily lives as though that conversation has never taken place, it will be filed away in their brain, as to them it may not be that important. However, for one or two people that idea may have sparked something. For whatever reason it has struck a chord. It isn’t going to be filled away, for they are going to do something about it. The same applies to creativity. Having a great idea about a new technique you want to experiment with it, even experimenting with it isn’t enough. It’s about how you actually turn that into something that is desirable, an end product which you can market and sell. That’s what sets you apart, that’s what makes us different in terms of our creativity. It’s that desire, spark, passion to want to achieve something. They may be some ideas along the way which may not work out, but it’s about persevering and acting on those ideas and eventually creative success will happen. Ally Shaw from Feral Strumpet is this weeks Crafty Northerner. Ally is based in the lovely city of York in the UK. Allys handmade gothic and Victorian jewellery is inspired by dark fairy tales, folklore, gothic novels and pagan rituals. Each piece is individually handmade and beautifully created. Have a look at her Etsy shop to see the great range of items she has. This post has been spurred on by 2 things – a blog post by Ally Shaw from Feral Strumpet and the fact that today, on Etsy, thousands of shop holders are putting their shop on vacation for the day to protest at Etsy allowing some factory-made items being sold alongside handmade goods. As an artist what you make is your livelihood; you make a living from art. For many people this is hard to reconcile – one, that you actually sell things and it’s not a hobby; and, secondly, that people actually choose to do this as an occupation. We all should be valued. At a recent craft fair she attended, Ally Shaw from Feral Strumpet says, “I had a difficult time explaining that I was a local Yorkshire artist, and that everything was handmade and carefully sourced. My prices didn’t make sense to people, who were seeing bins of things for a pound”. Handmade doesn’t mean extortionate prices – in my shop I have different price points for different budgets. I have attended a variety of craft fairs in the past and these are a snippet of the comments of what people said about my work: ‘I can do better than that’, ‘my niece etc makes those’. What, the exact same piece? Granted, we all get our influences from somewhere, but people forget or don’t even think about the work that goes into a completed piece. They forget about the actual idea, the concept which actually starts the piece off, sourcing of the high quality materials used to assemble the work and then the time to physically make the item. It’s not just the time that goes into making one piece, but the time that goes into turning your work into a business. People who go to a 9 to 5 job wouldn’t give up their time for free to do this, so why should an artist? We enjoy what we do, and the excitement and pride you feel when an idea is manifested is huge. Handmade art should have value and should be valued, especially at a time when our high streets are, in the main, full of generic shops. Wouldn’t our lives be dull if we all had the same jobs and if our homes were full of the same decorative pieces? Buying handmade lets you, as a buyer, define your own style, instead of following the mass-produced style of the high streets.